Imagine, a whole damn post dedicated to my underwear. Nope?! Well, apologies in advance then because that is exactly what I bring you today. I get up, get showered and adorn myself in this seamless, moisture wicking, chafe free set of under garments. These are their words, not mine, right! Big promises huh?! Initial thoughts were that they were super comfy; well fitting (I am a huge fan of Bridget Jones’esque style pants)! And right now, I am concerned my derriere is larger than normal so was apprehensive about still fitting into the size small I requested). I did notice how high waisted they were though but this did not put me off; in fact it assured me that coverage would not be an issue! It doesn’t get much sweatier than this to be fair. The Central is hotter when it is hot, and colder when it is cold. This particular day I would describe as warmer than expected hence the sweat inducing temperatures on the tube only made worse by us being packed liked sardines in tin cans. Sweat was produced. Comfort was not compromised. Somehow, I always manage to work up a sweat when teaching. It does make me wonder how much my clients sweat too huh?! Cos they are doing the entire thing as hard as they allow me to push them! I also choose my clothing well to ensure my dignity remains in tact (but no worries here with the high waist of the briefs!!). Sweat was produced. Dignity remained intact. Now this one was the real test for the crop top. 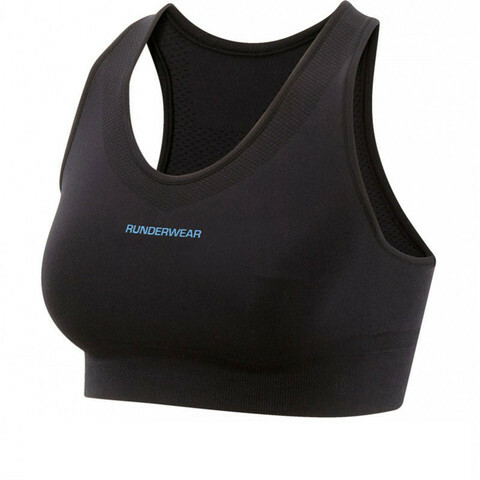 I’ve read many of the reviews where the women with ample bosom have retorted at the notion of wearing this for running and I get where they are coming from. I wasn’t excessively blessed in this department but this doesn’t make it any less important. We won’t go into bounce but the fact of the matter is that you probably should wear a sports bra underneath this. It could in fact be a saving grace; something simple / discreet to cover up the somewhat unsightly sports bras that we have yet to part with. On this occasion, I ran in the crop top alone. And I would do it again. Mainly for comfort and the fact that I wasn’t going to be running a marathon. Sweat was produced. Bounce discomfort not present. The final test of the day – going out having a few drinks in THE most packed bar in like, ever! I was so busy saying hello to everyone and getting my bearings that I kept my jacket on for ages while I sweltered amongst all the people. Sweat was produced. A party was had!! Any #runderwearers in the house?! What is your undergarment of choice when pounding the pavements?! Love this!! Made me smile. #Want!! Great crash test! Love your taglines too. These look great! 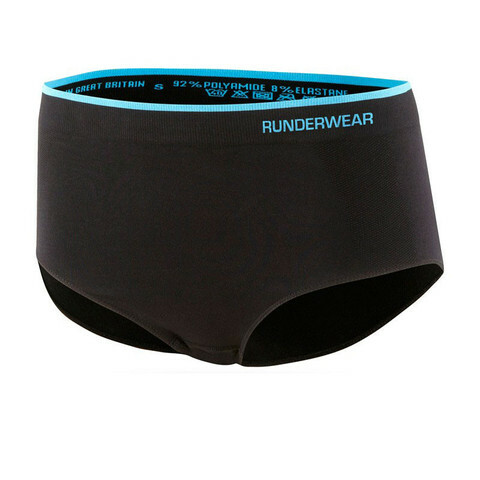 I wear cheap compression boxers under my tights while running in the winters and I think these would be a HUGE upgrade!